The Anne van den Ban Scholarship Fund, previously known as the ‘Stichting Redelijk Studeren’ (Sharing Responsibility for Students), is named after Dr. Ir. Anne van den Ban, former Professor of ‘Voorlichtingskunde’ (Rural Extension) at Wageningen University. The fund was founded in 1992 by two Wageningen alumni. The scholarship fund enables promising students from developing countries and from countries in Middle and Eastern Europe to study at Wageningen University. As a result, it contributes to the education of competent and motivated local experts, who can then play a leading role in solving the structural problems of their country in agricultural production, rural development and the environment. Every year, dozens of students apply to the fund. Your contribution can enable even more students to begin or complete a study at Wageningen University. 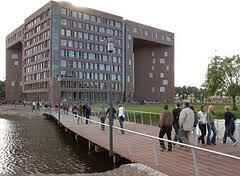 Applicant must already be accepted for their chosen study at Wageningen University. Applicant must intend to return to their own country at the completion of their degree. Before applicants can apply scholarships, they must apply for admissions. The deadline for admission for non EU students is around May 2011. Demikian kami sampaikan tentang Masters Degree Scholarships for Students from Developing Country in Wageningen University semoga informasi tentang Masters Degree Scholarships for Students from Developing Country in Wageningen University ini bermanfaat.